Location! Westside, 2 doors from the corner of Riverside Dr, across from Lourdes Hospital. Bus stop for BU. Large living & Dining rooms, Big windows offers lots of light, 3 bedrooms, hardwood floors throughout, 3 car garage. Never sacrifice location for price. Binghamton High School Pre-School, High School / Public 3 0.91 mi. West Middle School Pre-School, Middle School / Public 3 0.45 mi. Thomas Jefferson School Elementary School / Public 4 0.83 mi. Hillel Academy Of Broome County * Pre-School, Elementary School, Middle School / Private N/A 0.95 mi. Horace Mann School * Elementary School / Public 3 0.55 mi. Seton Catholic-Central High School * Middle School, High School / Private N/A 0.54 mi. 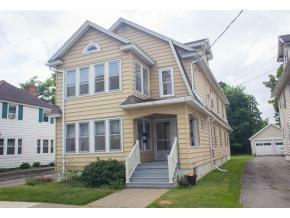 5 Rotary Avenue, Binghamton, NY 13905 multi-family home was sold for $157,000.